Things to Know Before Buying a New HVAC System :Delfera Heating and Cooling Co. Replacing your HVAC system can be overwhelming. At DelFera Heating and Cooling we provide free estimates with our highly qualified home comfort consultants. Here are some questions that we recommend asking before making your decision with any HVAC company. Sometimes a major repair can be costly and depending on the age of your furnace, you should consider replacement. Our technicians can tell you what the problem is and what the best solution would be, whether it’s worth it to repair the system or if replacement of your system would be the smarter solution. Should I replace all of my HVAC equipment at the same time? Ideally, yes. Your outdoor unit and indoor unit work as a team to heat and cool your home properly. A mismatched system may not deliver the same energy efficiency or performance as well as a complete new system. SEER stands for Seasonal Energy Efficiency Ratio. SEER is a rating system developed by the U.S. Government to indicate the efficiency level of cooling equipment. All cooling systems today must have at least a 13 SEER rating. A heat pump system must have at least a 14 SEER rating. Ensuring that you install the right size furnace, air conditioner, heat pump or complete HVAC system is critical to providing consistent indoor comfort for you and your family. It’s also important for saving energy, which can be wasted by either a too-large or too-small system. Since energy savings translate to monetary savings, in today’s economy you simply can’t afford to ignore system sizing when selecting your new HVAC equipment. DelFera will ensure your new system is the right fit for your home. Our comfort consultant will perform a detailed load calculation that will determine the capacity of the equipment needed for the correct distribution of air to each room in your home. What is the warranty coverage like? When you are purchasing a new HVAC system, you should be aware of the details of the manufacturer warranty as well as the warranty from the HVAC company you choose. Make sure to ask the company about their maintenance plans, and whether it is included in your estimate for the new system. Also, be sure to remember lack of regular maintenance can void your warranty, so make sure you have a plan in place to protect your new home investment. Are there any rebates available for a new system? DelFera offers a wide variety of Energy Star Certified, ultra-high efficiency products excellent warranties and possible $$$ savings with Federal Tax Credits, Peco and Manufacturer Rebates. Considering a new system? Call to schedule your free estimate today at 610-566-0900. I like that you recommend to ask the HVAC expert if it is better to repair or replace your furnace. My wife and I have noticed that our furnace hasn’t been working like it used to. We moved in to our house a couple years ago and the furnace worked just fine. However, this winter for some reason it hasn’t been turning on when it should be. I’ll have to make sure to ask the expert if we should have it replaced or fixed. Thank you for your comment and checking out our blog! If you ever have any questions or would like to have someone out from DelFera Heating and Cooling just give us a call at 610-566-0900. I’ve been looking into getting a new HVAC system for our home for the summer, because we recently moved into an old home with what seems to be an older air conditioner. I like how you talked about choosing a new HVAC system with a good SEER rating to be sure we’re getting a good one. 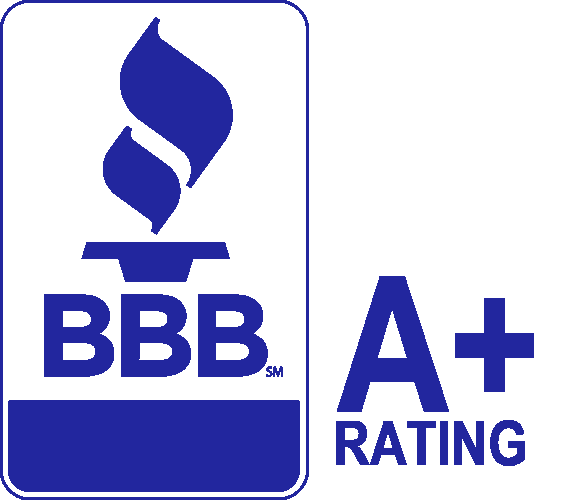 I want to make sure that I’m getting what I pay for when it comes to a new HVAC system, and I would love to be able to get a great SEER rated system! Thank you so much for checking out our blog! Absolutely, SEER rating is important and when looking to get a new system it is definitely something that can be discussed based on your budget and how efficient you would like your new system to be. If you would like to schedule an estimate with one of our Comfort Consultants. Feel free to contact our office at 610-566-0900. My grandmother has not had any maintenance done since I was little and now she’s paying the price for it, unfortunately. Her HVAC is too old and nasty to be able to be repaired and turned into decent condition, so the family is having to chip in to help her get a new one so she doesn’t suffer in the heat. Lesson learned: Get your HVAC checked! Kevin, that is very nice of your family to chip in to help get her a new system. Unfortunately, we see this sometimes and that is why it is so important to regularly get it serviced to ensure the longevity of the system. I like that you mentioned that you should replace your entire HVAC system at once. It makes sense that you would want a matched set for efficiency. I am going to have my HVAC system replaced, so I am trying to get all the information I can. This should really help, thanks for sharing! Thank you for checking out our blog, Ernest! We are so happy you found our article informative. It’s great to know this about getting a new HVAC system. I didn’t realize that the size of the system was so important to its function. We definitely want to save energy and money, so I’ll be sure we get the right size. Yes, getting the correct size is super important to save energy and money. Thanks so much for checking out our blog! After reading the article I’m definitely sure I will replace my old conditioner. I’m very appreciated for this information and your explanation about the HVAC system. Have no doubts about the replacement that is information I was looking for. Thank you so much for checking out our blog! I agree that it’s important to pick the right size and specifications of your HVAC system to provide comfort for the family; doing this would mean jotting down your expectations while considering your options in the market. I also liked the idea of seeking a professional’s advice in filtering your options as regards to buying an HVAC unit. This is something that my husband and I will keep in mind as soon as we finish building our dream home and putting new equipment and stuff in it. Thank you for checking out our blog! Best of luck in your new home! Thank you for suggesting that you should ask if it is better to replace or repair your current unit. My husband and I have noticed that our heater is n’t working and we want to get it fixed before winter. I’ll have to look into finding the best company in our area to come and take a look at it. Ellie, thank you for checking out our blog! We appreciate it. Thanks for explaining when to replace or repair an HVAC system. I think you made a great point about getting a technician to take a look at your system and to give you an idea of how much it might be to make repairs versus what the cost of a new system will be. Our unit has had some problems so I will have to call someone and get a quote to see what we should do. Great! I am so glad you found our blog helpful. Thank you for checking it out! Just recently, our air conditioning system has been malfunctioning and I wanted to know what might be the cause as there’s no cold air coming out. It might be a refrigerant issue so I suppose calling for service would be a good choice. I am a single mom, so naturally, I wanted to make sure that our expenses are well worth it before I shell out the dough. Thus, I want to know it can still be repaired or needs a replacement. Joy, I totally understand! I would definitely set up a service call with a local contractor. They will be able to diagnosis the issue and give you a replacement vs. repair cost. Hope this helps! Have a great day. I like what you said about these systems providing consistent indoor comfort for you and your family. Hiring a reliable company to install and administer repairs to boilers is the best way to keep the desired temperature constant in your home. If I were to experience problems with my system, I would look for a reputable repair service in my area that can make it like new. Yes, definitely. Thank you so much for checking out our blog! With my home, I am looking at getting the whole HVAC system changed out as it is a bit old and not as efficient as it used to be. Now I would want to probably upgrade to a slightly large system as I did add an addition to my home. As you said, it would be a good idea to find someone to come and find out what size of system you need. That way, you wouldn’t be getting a furnace that couldn’t keep up with the demand. Exactly! Thank you for checking out our blog! There are a ton of questions to ask when choosing a new HVAC system, especially when trying to choose the best one for your home. I particularly like that you ask the question about the kind of size that you need. After all, the size of the system will have a major impact on how efficient it is when heating or cooling your home. Duncan, yes that is so important for the overall efficiency of the system. Thanks for checking out our blog! I thought it was great how the article talked about how a technician can tell you what the problem with your HVAC is and whether you should repair or replace it. My father is wanting to sell his old home and get a new one, and he has been thinking about replacing his curring HVAC system so that he can get more money. It would be beneficial for him to hire a reputable company that can possibly repair it for him or recommends a replacement. Dean, thank you so much for checking out our blog! We really appreciate it. Yes, it would be beneficial if he is selling his home to consider replacement. That is something that would be very desirable when someone is considering buying a home, that the HVAC system is in good working condition. I like how you mention that getting the right sized furnace is critical to providing consistent comfort for you as well as the family indoors as well as being important for saving energy and consequently paying for expensive bills. With today’s economy, taking the correct size into consideration is important especially when it comes to selecting the properly sized furnace that a house system needs. Although my furnace hasn’t shown signs of breaking down yet, it’s best to call for a professional repairman to take a look at it just in case there’s something wrong with it that I’m unaware of. Thanks so much for checking out our blog! Thanks for pointing out that we should consider replacement if our furnace is old. My husband and I have been having problems with our furnace’s efficiency. We’ll have an HVAC technician come take a look and help us decide what to do. Daphe, that sounds great! Thanks for checking out our blog! I didn’t realize that the size of an HVAC system could impact how consistent your indoor comfort was in your home. My dad just bought a home that is well over 100 years old, and we would like to get it set up with air conditioning right away. I’ll advise him to figure out what size of a unit he needs to ensure that the entire home has consistent cooling. That is great! Larry thank you for checking out our blog!